NICOLAI SENNELS AT ISRAEL NATIONAL NEWS: HOW ISLAM CREATES SOCIOPATHS…….. – The Tundra Tabloids……. 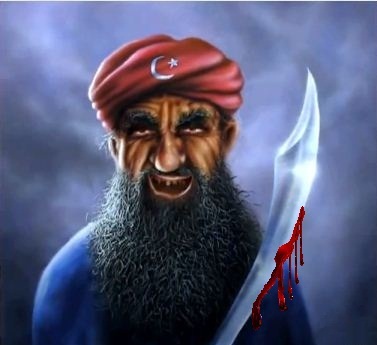 NICOLAI SENNELS AT ISRAEL NATIONAL NEWS: HOW ISLAM CREATES SOCIOPATHS…….. The daily mass killings, terror, persecutions andfamily executions committed by the followers of Islam are nauseating, and the ingenuity behind the attacks — always looking for new and more effective ways of killing and terrorizing people — is astonishing: hijacking jumbo jets and flying them into skyscrapers, hunting unarmed and innocent people with grenades and automatic rifles in shopping malls, planting bombs in one’s own body, using model airplanes as drones, attaching large rotating blades to pickup trucks and using them as human lawn movers, killingfamily members with acid or fire, hanging people publicly from cranes in front of cheering crowds, etc.- in addition to stabbing people in the back, shooting parents in front of their children, slitting throats of sleeping babies, etc. Previous Post Previous Post FINLAND: SOCIAL WORKERS IN ASYLUM CENTER COACHING “REFUGEES” TO GET THEIR STORIES STRAIGHT……. Maybe you could also explain how the Danish sociaty creates sociopaths!!! Danish broken families are generally contributors to children becoming sociopaths, Islam as a societal ideology creates them, muslim families, mosques and communities… nurture them. Therein lies the difference.